The Great Pacific Garbage Patch is now twice the size of Texas and contains 1.8 trillion pieces of trash floating in the ocean. 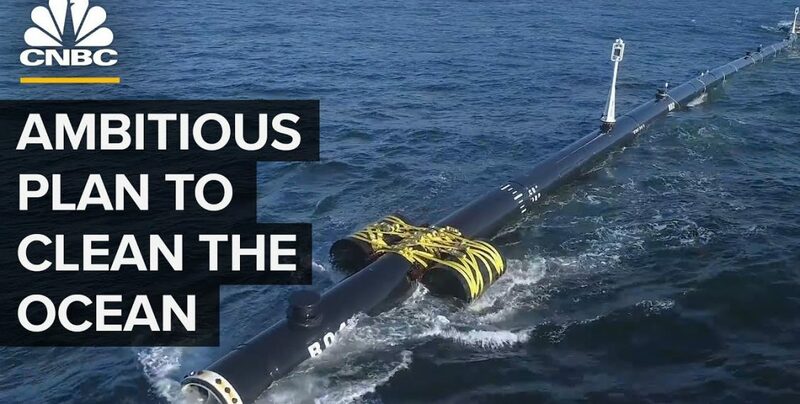 The Ocean Cleanup is an ambitious non-profit committed to removing it, and on Saturday it launches its first system out to sea from the San Francisco Bay. Dutch entrepreneur Boyan Slat came up with the idea when he was 16 years old. He founded the organization in 2013 and the team has raised $35 million through crowdfunding campaigns and big donors like Marc Benioff and Peter Thiel. System 001 is a 600 meter long float, with a 3 meter skirt and it’s designed to corral plastic and debris. The collected garbage will then be removed by garbage truck-like ships. You can’t just clean up the plastics and expect ocean life to thrive again, the runoff from industrial waste is a big problem, Oil spills is another. 20 years is a long time imagine how much it’ll have grown by then….I’m super grateful for the ambitious plan however I think the with the support of other countries agencies and donors this project could be expedited much sooner than that. I do appreciate the work of cleaning up our oceans. Thankyou.